Hugo is a hippo who has a bird named Bella. 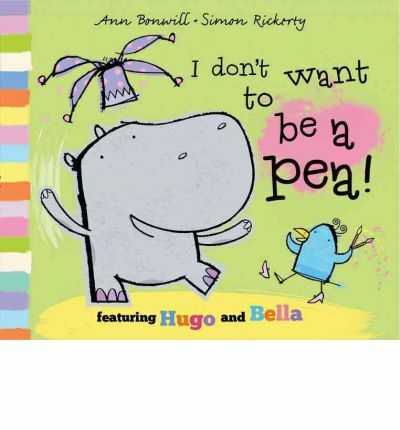 Or is that Bella is a bird who has a hippo named Hugo? Any way they are excited to be going to the Fairytale Fancy Dress Party. The problems start when Bella decides she doesn’t want to go as the pea while Hugo goes as the Princess. Will they be able to find costumes they are both happy with, or will they end up not going at all? The text in this picture book is basic and the story is entertaining. The illustrations are a lot of fun. A cute and silly book about friendship and compromise, a lovely little lesson should you choose to talk about it.